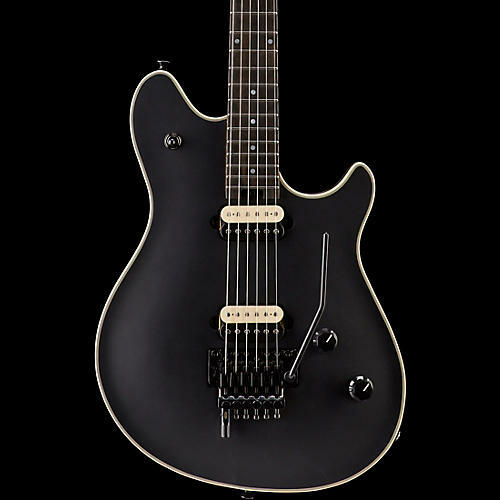 In the quest to design an especially sleek all-black addition to the Wolfgang series, Eddie Van Halen decided to try something he previously wasn't known to prefer-an ebony fingerboard. 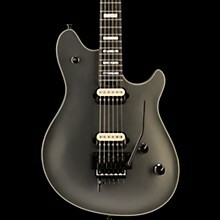 Well, he tried it, and he liked it so much that the resulting guitar-the Wolfgang Stealth-now resides at the very forefront of his arsenal. 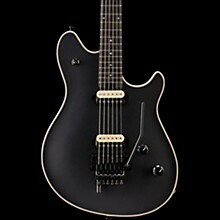 Features include an arch-top basswood body, quartersawn maple neck with dual graphite reinforcement rods, compound radius (12"-16") ebony fingerboard with 22 vintage-style stainless steel frets, dual hard-mounted EVH Wolfgang humbucking pickups with three-position switching, dual Bourns low- (volume) and high-friction (tone) potentiometers, EVH-branded Floyd Rose locking tremolo with EVH D-Tuna, black hardware, EVH-branded 14-1 Gotoh chrome tuners with pearloid buttons, Schaller chrome string retainer and EVH molded-stripe case by SKB.